Young and talented singer Yash Wadali who is among the distinctively emerging singers in the music industry is set to mesmerize his fans and listeners with the launch of his all-new single titled ‘High Crush Sun Taa Zara’. The song which is a soulful romantic number has been composed by Yash Wadali with lyrics penned by Raman Jangwal and the music video directed by Sayan V Roy. Twenty-seven-year-old Yash Wadali who hails from Jalandhar in Punjab has always chosen songs with rich and meaningful lyrics and rendition. He is known for his high range vocals which resonate in his songs that he sings. 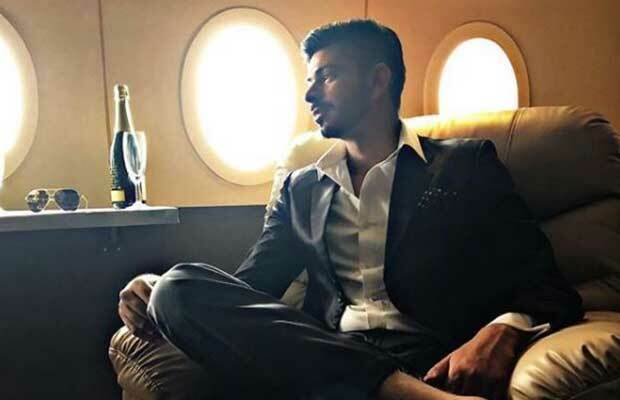 Having a varied list of songs to his credit including his hugely popular ‘Sanam Re’ and ‘Teri Yaad’ that have been trending on digital platforms, he is set to up the game with his upcoming single. Not many are aware that Yash who has also worked and been a part of song albums with singer Mika Singh has been trained by the accomplished Sufi singers Wadali brothers. Yash Wadali has been passionate about singing and music since his childhood and had always dreamt of being a successful musician and singer. Besides singing for popular Hindi songs, he is also equally versatile with Sufi songs. Yash, whose songs and cover songs are a rage on digital platforms says that he began learning the nuances of music very early in life. Post his training period, he sang and performed on various stage shows and built a platform for himself in order to pave his way into professional singing in Bollywood. Yash appears all set for his latest single has a wide range of songs in Bollywood, Punjabi and Sufi music. Get set to experience the magic of Yash Wadali’s mellifluous vocals as ‘High Crush Sun Taa Zara’ releases January 23rd, 2018. Previous articleAhead Of Padmaavat, Deepika Padukone Opens Up Like Never Before! Next articleSidharth Malhotra Mocks Bhojpuri On Bigg Boss 11, Gets Slammed By Neetu Chandra!